The Bolognese are, as far as we know, a pretty healthy breed and we need to keep it that way. 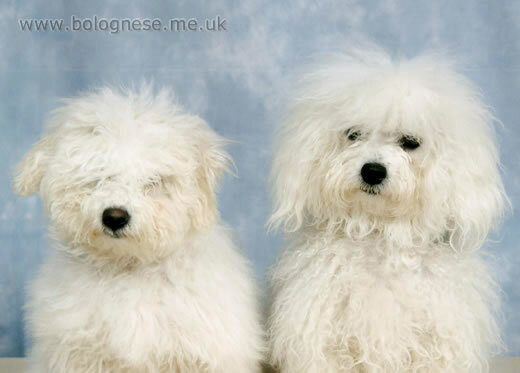 Bolognese are not required by the UK Kennel Club to have any specific health screening tests, however patella luxation can be a problem in many toy breeds and is unfortunately present in the Bolognese. Eye testing, I feel, is also something which is important for the future health of the breed. As the health and well being of my Bolognese is of paramount importance to me, in addition to all the regular veterinary checks and routine vaccinations, I also undertake patella checks on all of my dogs and their progeny. My vet issues certificates to confirm my Bolognese are free from patella luxation. It is important that all dogs used for breeding, showing and any stud dogs I use, are free from patella luxation. I also carry out regular eye testing with a registered specialist in veterinary ophthalmology to test for conditions PRA (progressive retinal atrophy) and PRA-prcd. All certificates are available to view on request. If you have any questions on the health of the breed please do not hesitate to contact me.